This page is where we post pending legislation. Members of our organization and the public are encouraged to send us information on pending legislation and we will post it here. If you check out the Affordable Hawai‘i Coalition website, you will notice a section called “Fact or Fiction” where we dispel myths about the proposed constitutional amendment. It is unfortunate that Corey Rosenlee, president of the Hawaiʻi State Teachers Association (HSTA), is misleading the public, which is why it’s important to take a closer look at the version of the bill that actually passed. There are NO RESTRICTIONS that tell us only residential properties worth $1 million or more will be taxed. 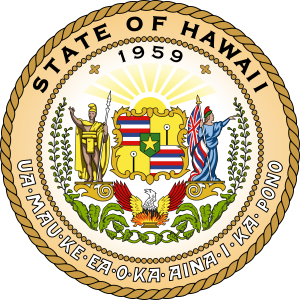 There is NO LANGUAGE that specifies only foreign and out-of-state investors will pay the tax and Hawaiʻi residents will be spared. The definition of “public education” in the bill includes libraries, public universities and other educational institutions deemed desirable ASIDE from public schools. Language earmarking the money “for recruitment and retention of teachers” and funding “public education for Hawaiʻi’s keiki” was stricken out from the original bill. This is troubling. As we follow news coverage on the proposed constitutional amendment, Rosenlee’s arguments to support the bill don’t tell voters the whole truth, and in many cases, are flat-out wrong. Next time, we’ll take a closer look at what powers lawmakers would have if the measure is approved – yet another reason to VOTE NO on the constitutional amendment!